Welcome to this tutorial on Dream a little Dream. It was first recorded in 1931 by Ozzie Nelson and his Orchestra, it was written by Fabian Andre and Wilbur Schwandt, with lyrics by Gus Kahn. Most people know and recognise "Dream A Little Dream". It’s so delightful in its melody and lyrics. 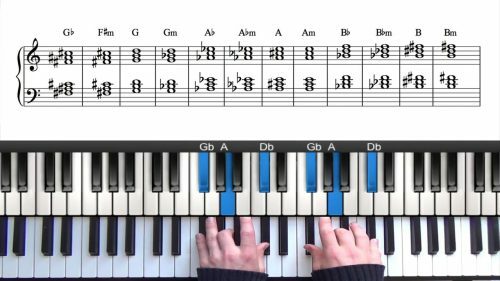 In this lesson we will jump straight in and get familiar with it’s melody, form and harmony. The version by the Mamas and the Papas in 1968 is perhaps the best known version and it has been recorded 60 times. This is one of my favourite versions of the tune because it’s a jazz standard with an equally strong pop tradition. Then there is also the Ella Fitzgerald and Louis Armstrong jazz version – a must listen-to recording of this great tune. 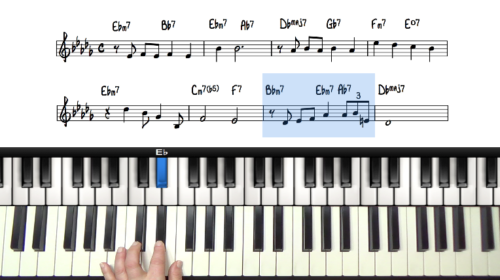 We’re going to learn this tune in the key of C. This is the key from the Mama’s and the Papas version, and for many of us this is the version we are most familiar with. This is also a great key for my particular voice. One thing that stands out right away is the extensions that happen in the melody. In measure 4, we have b9 as part of our melody. So this will play later in out our voicings and choice of voicings. We will start by running the melody of the whole tune with our dominant hand, and sing along with "La" or "oo" to see how this key feels for your voice, as well as to speed up the memorisation process through internalisation of the melody. If you don’t consider yourself a singer, or enjoy singing at all, then you can try the "hummmm" with it. So by now you’ve detected the AABA form. Our A Sections are very similar except for the last 2 measure of each 8, changing slightly in timing, but the same chords and notes. The bridge goes somewhere else and it’s a fascinating key change to Ab, which is the b6 of the key. This is one of the fun surprises that makes this tune so enjoyable to sing and play. Let’s jump into the harmony now. We’ll use root position triads in the right hand, and then root bass in the left-hand. In this lesson, we are going to learn about incorporating the voice into our playing, right from the beginning of learning a tune – Body & Soul. Remember that being able to connect to the meaning of the song, and express the love that this particular tune is about, that can make the different from a good performance to a great one. "Dream A Little Dream" is such an efficient and beautiful composition that you really don't need to add much to the harmony. Your singer gets to do such a fun and brilliant melody... so some might feel it's best to keep the harmony simple and clean, as to not interfere. 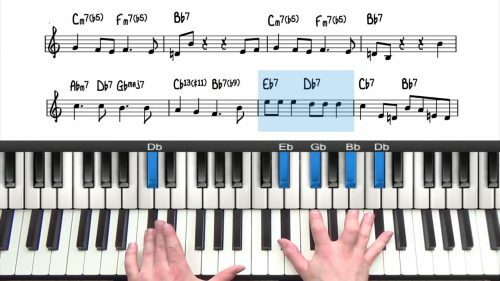 In the next video we'll take it the level of 7th chords and extensions and talk about how to do a jazzer versions. Make sure you check out the recommended versions of this tune as highlighted above.